Stellar Data Recovery, Mumbai provides industry-leading data recovery services for recovering data across all platforms, file systems, and servers. The engineers at Stellar have a vast experience in performing successful recoveries from all media types. With Stellar, you can get your data back in the least turnaround time & at an affordable price. Stellar possesses a wide range of data recovery capabilities, including hard disk recovery, laptop/desktop recovery, server recovery, RAID recovery, storage box recovery, email recovery, and file recovery. 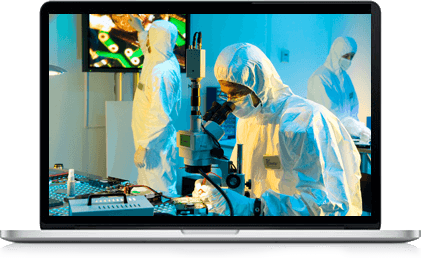 Our data recovery specialists have successfully performed over 35,000 data recovery tasks annually in our Data Recovery Lab which is spread across the globe. Backed by a professional R&D team, Stellar Data Recovery has the ability to cater to different problems. Fantastic end to end experience with full hand-holding and great customer service from start to end. Highly satisfied with the data recovered from my crashed SSD drive. Near 100% data recovered and presented in directly usable format. Go for the Stellar Data Recovery service without any thought. Clearly the best!